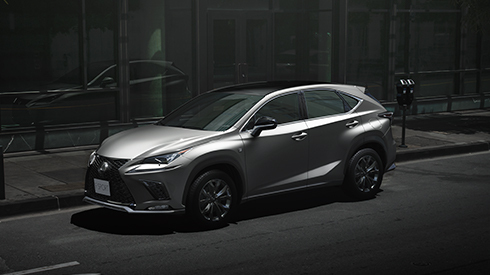 The NX was developed around the core concept of ‘Premium Urban Sports Gear’, a next-generation Lexus that applies an urban focus to luxury SUVs. 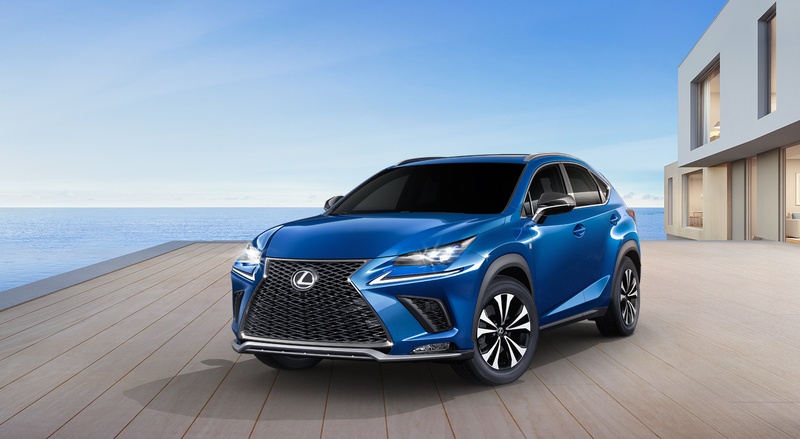 The result is a game-changing, urban-focused SUV, with the acceleration, agility and handling to effortlessly negotiate city traffic, the utility to meet the ever-changing needs of an active and dynamic lifestyle, fuel efficiency that embodies environment-aware values, and the sophisticated features and refined detail that is a Lexus hallmark. The NX exterior intrigues with a constantly shifting series of solid surfaces that exude power and agility. 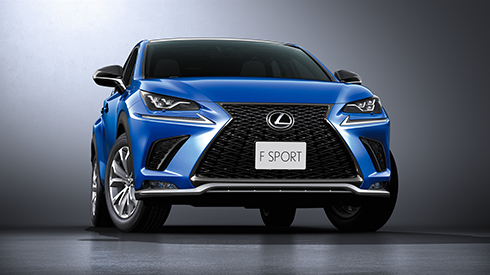 Starting with the signature Lexus ‘spindle grille’, the exterior is bold and compact, the sculpted diamond-shaped body, flared wheel arches and large wheels emphasize the firmly planted stance, and radiate lively performance. The fusion of condensed dynamism with edgy solid surfaces powerfully expresses the superb agility and dynamic individuality of this fresh sporting spirit. This newly-developed engine delivers a sophisticated fusion of exhilarating driving performance and excellent fuel efficiency. The compact high-efficiency twin scroll turbocharger is combined with an Atkinson Cycle engine with Dual VVT-iW. 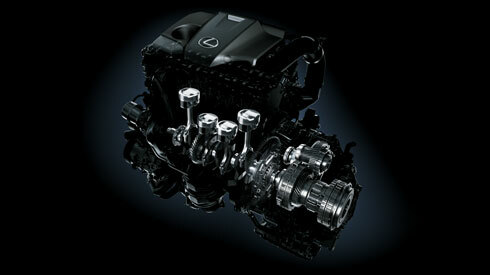 To realize optimum combustion, the innovative D-4ST features both direct and port injectors. This advanced Lexus engineering helps generate high torque from low through to high rpm ranges, high level responsiveness, as well as enhancing fuel economy. 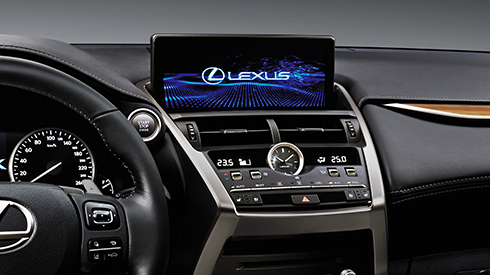 This function coordinates the display of information from the multimedia systems on the 10.3-inch EMV (Electro Multi-Vision) display in the center of the instrument panel and the 4.2-inch color TFT (Thin Film Transistor) multi-information display in the meter cluster. For convenience, audio system information, incoming mobile calls, and some navigation on the EMV display can also be displayed on the multi-information display, and controlled using switches on the steering wheel. 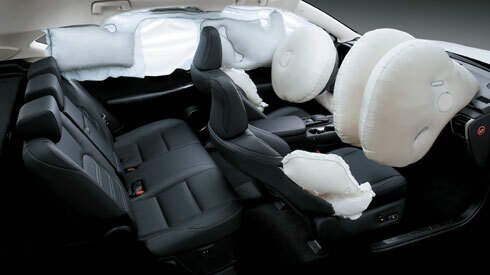 The NX features dual-stage SRS airbags (Front seats), SRS knee airbag (Driver’s seat), SRS cushion airbag (Front passenger’s seat) that supports seatbelt restraint by lifting the front edge of the seat cushion during a frontal collision, SRS side airbags (Front seats), and SRS curtain shield airbags (Front and rear door windows).